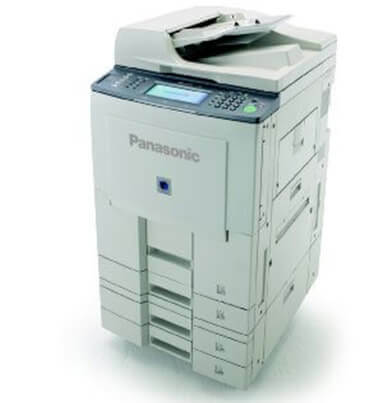 The Panasonic DP 8035 delivers incredible standard features such as copying, printing, and scanning. The standard network printing and document management software can manage and edit documents right from individual desktops with a simple “drag and drop” action. 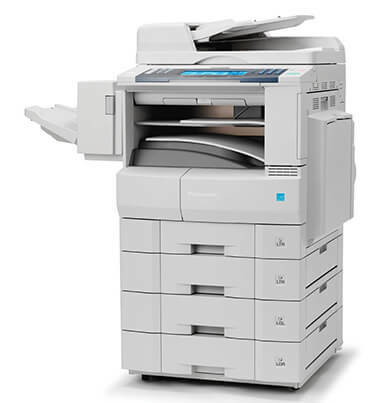 The DP-8035 delivers documents at a rated speed of 35 copies-per-minute with a first print in as little as 5.8 seconds. 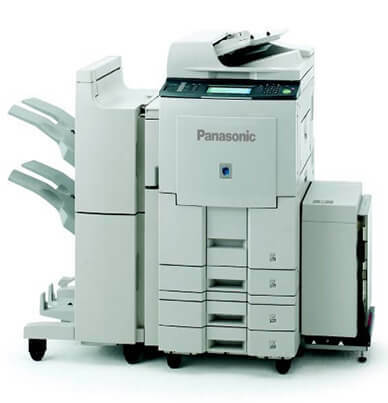 The standard duplexing on the Panasonic 8035 produces double-sided documents quickly and effortlessly. An advantage of the DP-8035 paper handling capabilities is the ability to produce 11 x 17 sheets through its dual paper drawers that accommodate 2,100 sheets of paper. The multipurpose tray delivers envelopes, labels, letterhead and regular paper. With an estimated toner yield of 38,000 pages with 5% page coverage, the Panasonic DP-8035 black toner cartridge (DQ-TU38R) will keep projects running with minimal interruption. 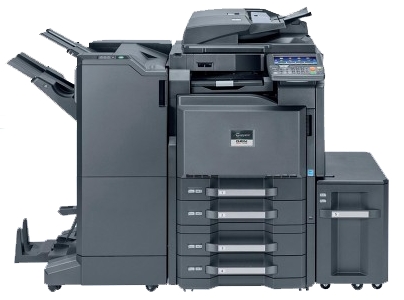 The Device Monitor on the DP-8035 alerts users when the toner is low, so it can be replaced before important jobs are loaded.